There’s something very cool about a hot hatch car. Practically, versatility and power are a potent mix, and unless you’re a true petrolhead, you’ll simply think this is just another hatchback. Those in the know will realise that the little S (or RS) before the model number on Audi’s, plus the quad exhausts, denote that there’s something a wee bit monstrous hiding under the bonnet. 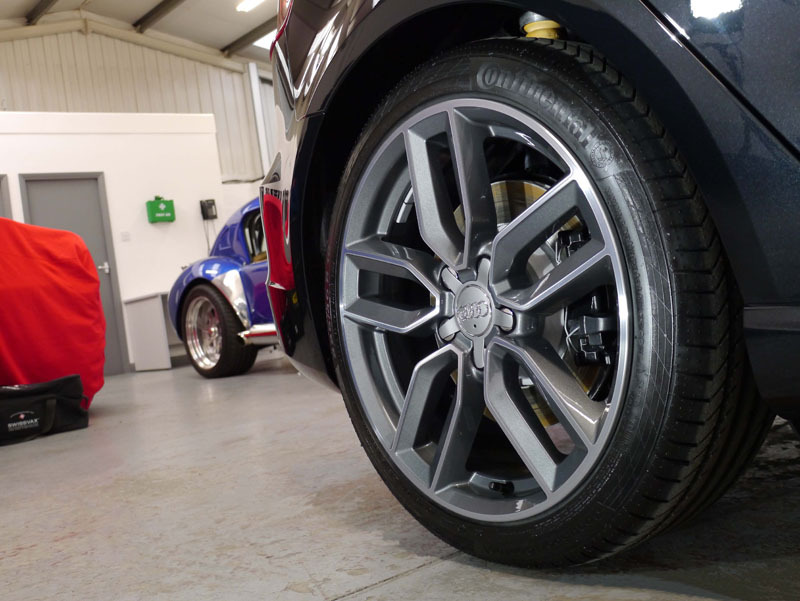 The Audi S3 Sportback Quattro our customer purchased kicks out 300PS (295 hp) from just a 2.0 litre petrol-turbo engine, doing the 0 – 62 mph run in 5 – 5.5 seconds (depending on transmission), hitting a limited max of 155 mph. Certainly, this Audi is no slouch. 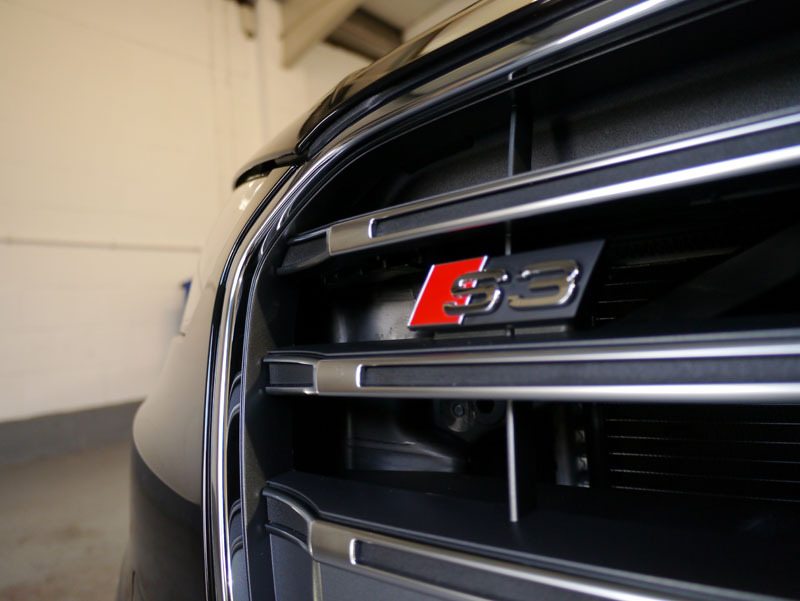 The S3’s owner ordered the car brand-new, and instructed Audi to leave all the pre-delivery protective film and interior protection on the car, ready for us to pick his Audi up directly by choosing to use our concierge service. The customer decided on our New Car Protection Plus detail, as even though the Audi is absolutely factory-fresh, there’s still contamination, and paint correction to deal with, regardless of the fact it is covered with protective film during transit – which also actually leaves resin behind once removed. 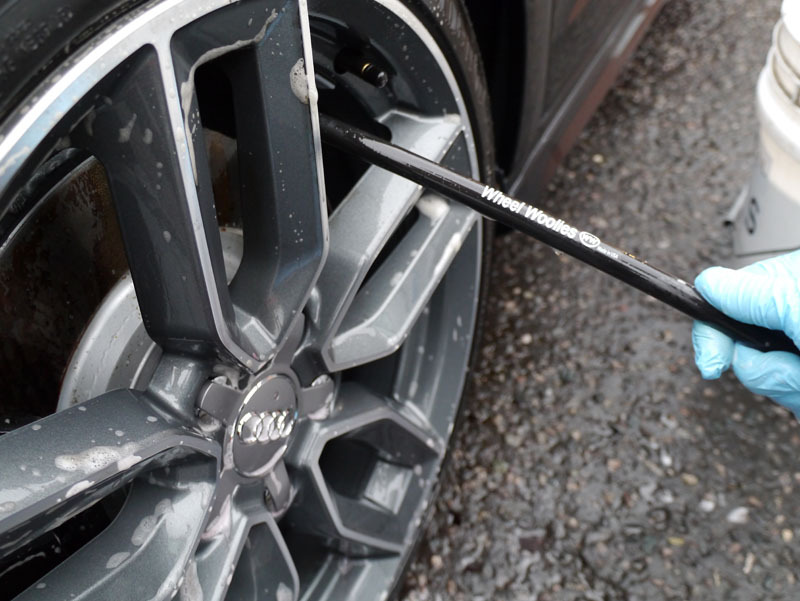 Bilt-Hamber Korrosol Fallout Remover spray was used to remove any contamination on the wheels, alongside our own premium UF Wheel Woolies safe wheel brush set. 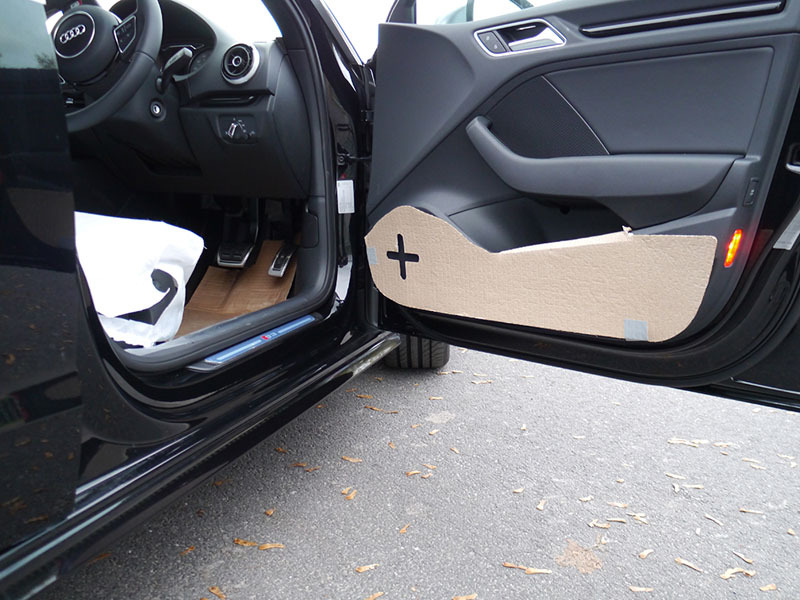 Wheels thoroughly and safely cleansed, we moved on to cleaning any dirt from the door jambs and other areas using the effective-but-gentle Meguiar’s All Purpose Cleaner. 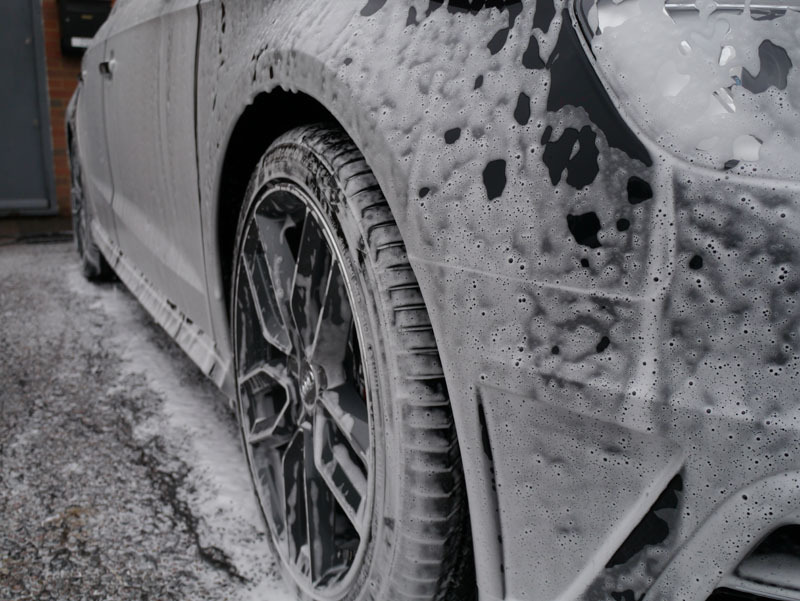 Next, we snow-foamed the Audi using our own brand – Ultimate Snow Foam, which has high foaming properties and won’t strip wax, through the new-and-improved Kranzle Snow Foam Lance. After rinsing off the snow foam, it was onto the shampoo stage, going with the innovative and highly concentrated Meguiar’s Hyper Wash, and of course using Ultimate Finish Two Bucket Set With Scratch Shields for a safe, scratch-free wash, finishing off with a rinse firstly running water through AQUA GLEAM De-ionising Water Filters to ensure a mineral-free finish. Drying and water-absorption was done with the superbly-soft Gtechniq Zero Scratch Microfibre Drying Towel to ensure a scratch-free finish as possible. 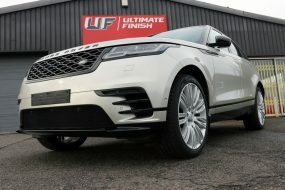 Any final stubborn contamination in the paintwork was removed using Bilt-Hamber Auto-Clay Original, and with a final wipe down using Nanolex PREMIUM Paint Cleaner, we were now ready to start the paintwork correction stage. 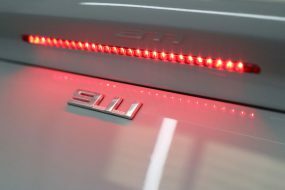 Although the Audi S3’s paintwork looked shiny beforehand, there were still fine swirls and scratches to get rid of, and so out came the FLEX PE14-2 150 Rotary Machine Polisher. 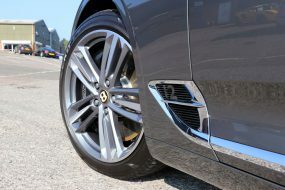 As the black paintwork was new, and only had very light marks on, we went with the perfect product for this – SCHOLL Concepts S40 Anti Swirl-Compound Black final finish polish on a SCHOLL Concepts Black SOFTouch Waffle Finishing Pad. 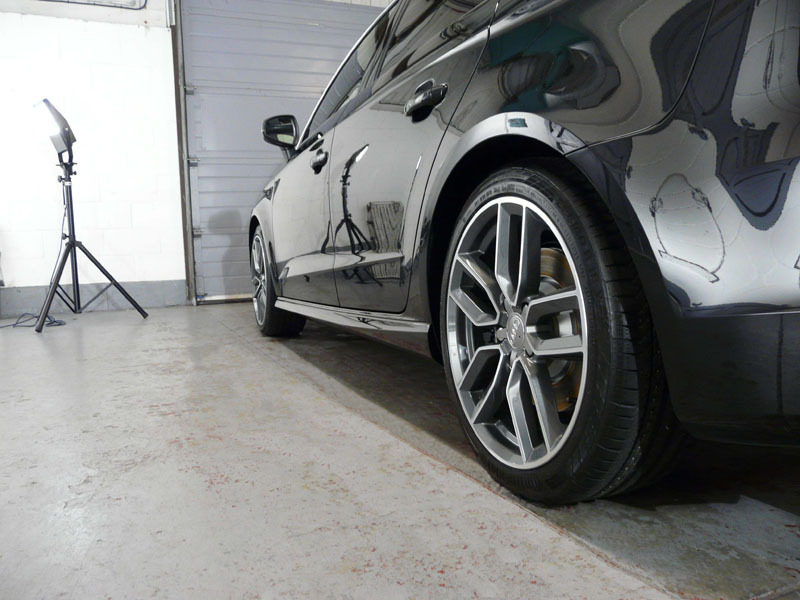 Any area’s we couldn’t reach with the machine polisher were covered using a SCHOLL Concepts White Hand Puck Polish & Compound Applicator – an applicator made of high-density foam which has fantastic scratch-removal properties. 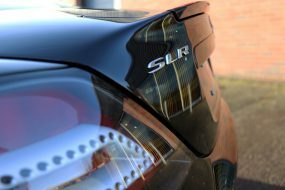 Paintwork correction completed, we moved onto the protection stage, deciding upon Swissvax Crystal Rock State Of The Art Car Wax. 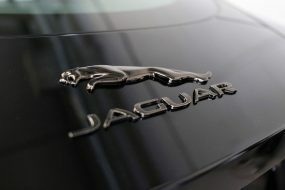 This very special wax uses only the very finest ingredients, including 76% volume of pure Brazilian ivory carnauba wax – one of the highest carnauba contents of any wax on the market. 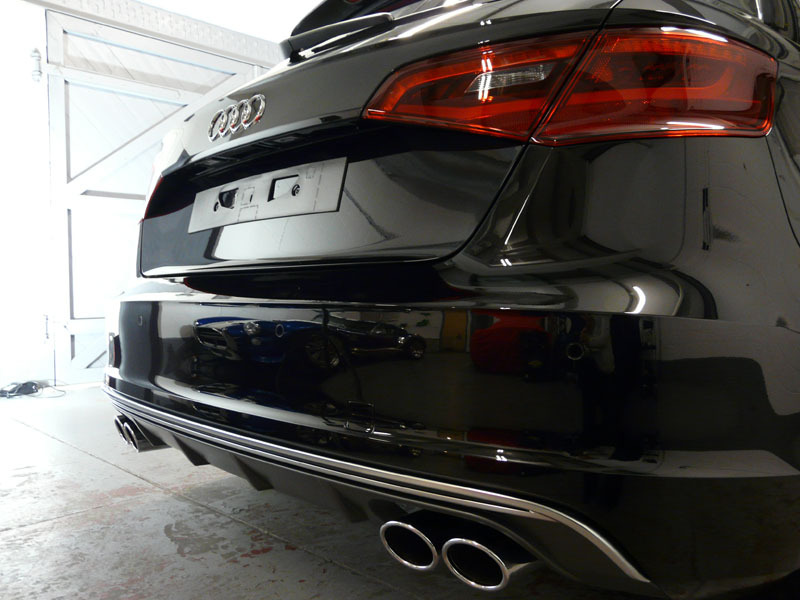 Crystal Rock leaves a smooth and glossy finish behind, along with exceptional durability of 6 – 12 months – perfect for the Audi and its high performance. Removal of the wax once it had cured (hardened) was done with our own high-quality, non-marring 40 x 40cm UF Microfibre Buffing Fleece. 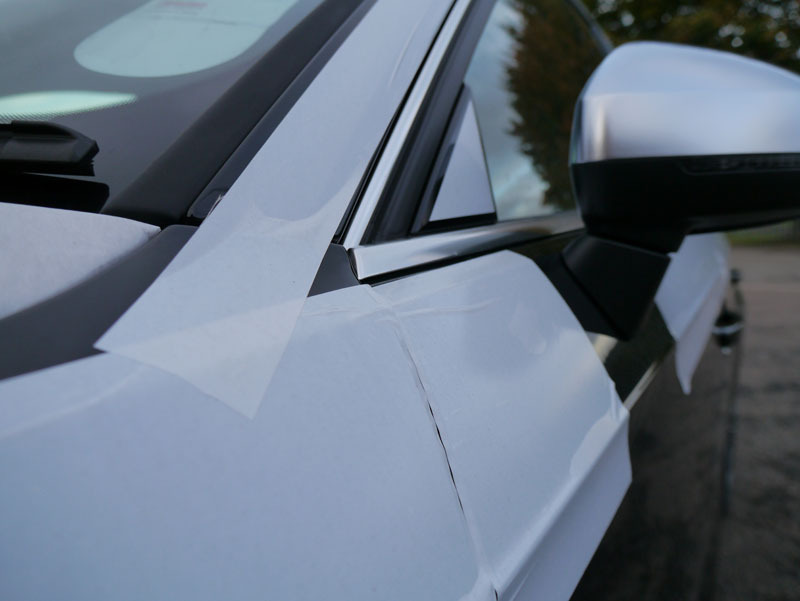 Final protection to other areas of the Audi S3 Sportback included using a Nanolex ULTRA Glass Sealant SET, for ultimate sheeting and protection qualities, ensuring superb visibility through even the heaviest downpour! 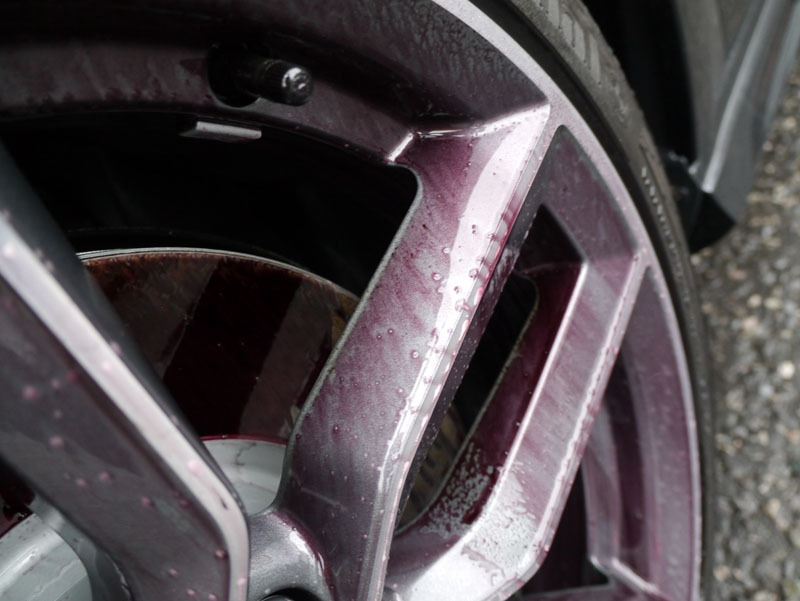 The wheels were then sealed with the ultra-durable Nanolex PROFESSIONAL Paint & Alloy Sealant. Any exterior trim protected using Nanolex Trim Rejuvenator, which is long-lasting and leaves only a natural sheen behind.